I can't believe how lucky I've been this year on picking up books with excellent writing. I feel like my resolution to go back to what I love instead of what I feel like I need to accept for review is really serving me well. This is one I heard the Book Riot folks raving about, and I trust them, so I grabbed it when I saw it on the FLP website. It is just stunning. 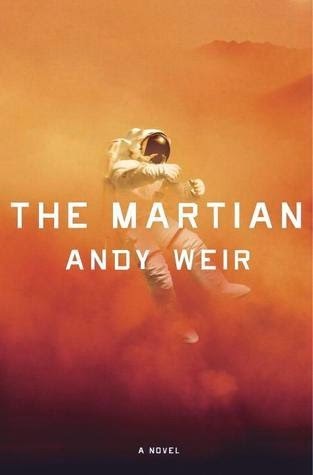 Weir has found the perfect balance between heart-stopping tension, humor, and sciencey goodness (yes, that is a technical term). It's a survival story and an adventure story, but it's set on MARS. Space survival. I can't rave enough about how well done this is. I was hooked from the first page, but it never got so dark that it was depressing or so light that it didn't feel believable. And it had just the right amount of the technology Watney needs to survive without overloading the reader with jargon. I was entranced from the first page. If any book deserves to be made into a movie, this is the one. One of my biggest fears is space. Being trapped in space, totally alone, with no way to get home? Just the thought makes me clench my teeth. It's just terrifying. I will stay right here on Earth, thank you very much. But reading about someone facing my biggest fear? Perfection. Luke can tell you, I couldn't get enough of this book. It's one that had me flipping pages in a panic and staying up late at night to finish. Please quit everything you're doing and go read this book. It's amazing and I can't recommend it highly enough. I've seen the cover of this book in more than a few places. Might try to get it in audiobook.